A 4e Version of the Basic D&D Box Set? I don’t play 4e D&D, and I have not been following the product line since the initial three hardback books were published. (I read halfway through the PHB before deciding that it wasn’t for me.) However, it recently was brought to my attention that WotC is coming out with a number of ‘box sets’ later this year, including one that seems reminiscent of the old ‘red box’ Basic D&D set. The best way to start playing the 4th Edition Dungeons & Dragons Fantasy Roleplaying Game. Designed for 1–5 players, this boxed game contains everything needed to start playing the Dungeons & Dragons Fantasy Roleplaying Game, including rules for creating heroes, advice for playing the Dungeon Master, a solo play adventure, and group-play adventure content. Learning the game has never been so easy! Several different character races (dwarf, elf, halfling, and human) and classes (cleric, fighter, rogue, and wizard) are presented, along with powers for each race and class. If you’re a Dungeons & Dragons player interested in taking on the role of the Dungeon Master, or if you’re an experienced DM looking for more game advice, tools, and adventure content, the Dungeon Master’s Kit has exactly what you need to build your own Dungeons & Dragons campaign and excite the imaginations of you and your players. Exciting new builds and character options for the cleric, fighter, ranger, rogue, and wizard classes. This essential player product for the 4th Edition Dungeons & Dragons Fantasy Roleplaying Game presents exciting new builds for the most iconic classes: the cleric, the fighter, the ranger, the rogue, and the wizard. Each class comes with a set of new powers, class features, paragon paths, epic destinies, and more that beginning players can use to build the characters they want to play and experienced players can plunder for existing 4th Edition characters. In addition to new builds, this book presents expanded information and racial traits for some of the game’s most popular races, including dwarves, eladrin, elves, halflings, and humans. Iconic Dungeons & Dragons monsters that are easy to run and fun to fight. This essential product for Dungeon Masters collects the most iconic monsters of the Dungeons & Dragons world in one handy box and presents all-new variants, including new spins on such beloved monsters as dragons, orcs, and vampires. The monsters described herein are designed to be easy for Dungeon Masters to use and fun for players to fight. In addition to combat statistics, each monster entry comes with story information to help DMs incorporate the monsters into their adventures and campaigns. In addition to a comprehensive collection of iconic Dungeons & Dragons monsters, this box contains die-cut tokens for the monsters that appear within, as well as a 32-page adventure that showcases several of the monsters. Exciting new builds and character options for the cleric, druid, paladin, ranger, and warlock classes. This essential supplement for the 4th Edition Dungeons & Dragons Fantasy Roleplaying Game presents exciting new builds for the game’s most popular classes: the cleric, the druid, the paladin, the ranger, and the warlock. Each class comes with a set of new powers, class features, paragon paths, epic destinies, and more that beginning players can use to build the characters they want to play and experienced players can plunder for existing 4th Edition characters. So what is going on here? Do these box sets mark the beginning of a new ‘basic’ D&D – apparently called ‘Essential D&D’ – to run parallel to the main line of ‘regular’ D&D in just the way that Moldvay/Cook D&D, and later Mentzer/Allston D&D, ran parallel to AD&D in the 1980s and early 1990s? The ‘Starter’ kit even seems to include a ‘solo’ adventure, just like the Mentzer Basic D&D set. Unlike the distinction between ‘D&D’ and ‘AD&D’ during TSR’s hey day, I suspect that the system for ‘Essential D&D’ will be pretty much the same as that of 4e (simply a stripped down version of it). But that minor difference aside, it does indeed seem that history might be repeating itself. LOS ANGELES—George Himmelsbaugh, 32, was informed Tuesday that he was incorrect in enjoying a thing he had been deriving pleasure from for many years. Authorities in the field informed Himmelsbaugh that, although he believes his appreciation of the thing to be a matter of subjective personal taste, any positive feelings or satisfaction taken from this are by definition erroneous. Furthermore, sources reported, Himmelsbaugh does not in fact enjoy the thing, but has merely been convinced that he does by the influence of others who also claim to enjoy the thing but who must be insane or developmentally disabled if they actually do. Himmelsbaugh has responded to the information by endeavoring to enjoy the correct things in the future. Did you enjoy reading The Hobbit and The Lord of the Rings*? Do you love Professor Tolkien's world of Middle-earth? Does the thought of taking on a dreaded Nazgul with a sword forged by the Elven smiths of the Gwaith-i-Mirdain thrill you? Did you (or do you still) dig the RPG portrayed below? 20 January 2010 - Cubicle 7 Entertainment and Sophisticated Games announce that they are developing The One Ring: The Lord of the Rings® Role-playing Game. I love MERP and am a huge fan of most of the campaign modules that ICE produced for the game during its glory days of the 1980s and early 1990s. While incomplete, my collection of MERP campaign modules is one of my most cherished possessions. And, of course, Peter Fenlon's maps were simply stunning, works of art in their own right. 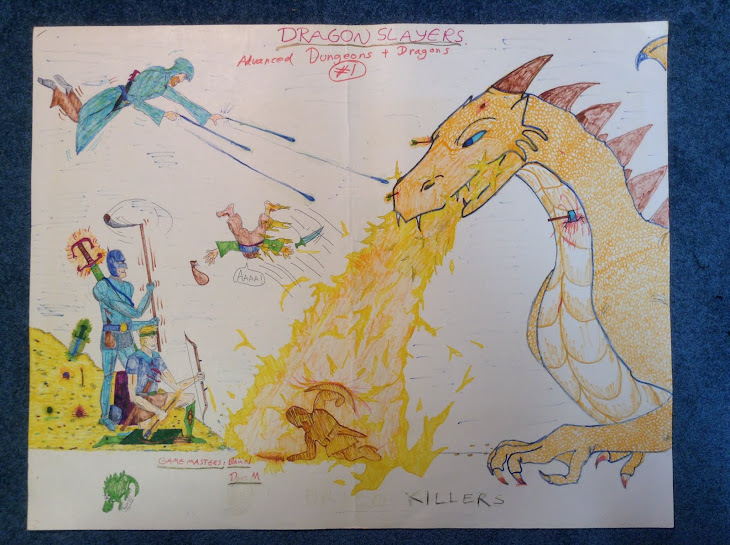 MERP was the game that I most frequently ran during my 'salad days' of RPG'ing, during the mid-late 1980s. Nonetheless, I have to concede that aspects of MERP's system -- most notably, its magic system -- are not very 'Tolkien-esque.' While I doubt that the good Professor ever developed a systematic conception of magic for Middle-earth, the magic system in MERP does not really resemble any description of magic in the Professor's various books. On this score, the Decipher game actually did a better job. In any case, I hope that Cubicle 7 does justice to Middle-earth. I look forward to reading it, and possibly playing it, once it's published. * Perceptive readers might notice that I did not mention The Silmarillion or the other post-humous works by Tolkien in the opening question. 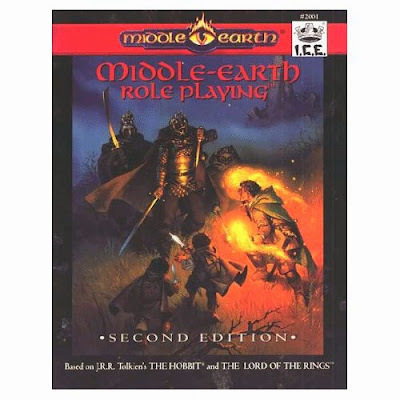 The reason is that the license for the game is from 'Tolkien Enterprises,' which only has the rights to The Hobbit and The Lord of the Rings (including, fortunately, the material in the LotR appendices). So, alas, nothing from The Silmarillion! 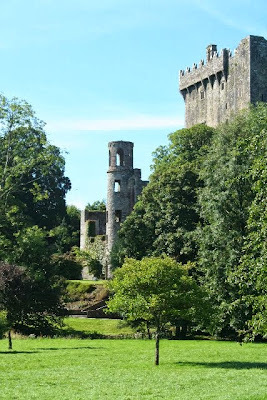 No time for a real post for at least another week, unfortunately, but I thought that I would mention that I’ve made a modest change to the blog. I’ve now divided the list of links on the right hand side of the blog into three categories: ‘Classic D&D’ (which covers OD&D, Basic/Expert D&D, 1e AD&D, and their respective ‘retro-clones’), ‘Basic Roleplaying/d100’ (including Chaosium’s Stormbringer/Elric games, and Call of Cthulhu), and ‘Rolemaster/MERP’ (focusing on Rolemaster 2e/Classic). 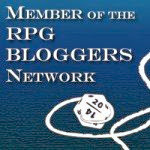 These are my three favourite role-playing games – or, I should say, ‘families of RPGs’ – and I hope to write more about all three in the future. If you are unfamiliar with BRP, there is a free ‘quickstart’ version of the rules available here. Also, RPG.net has a positive, recent review of the quickstart rules here. Finally, I thought that I would mention that a very positive review of Knockspell #3 has been posted here.